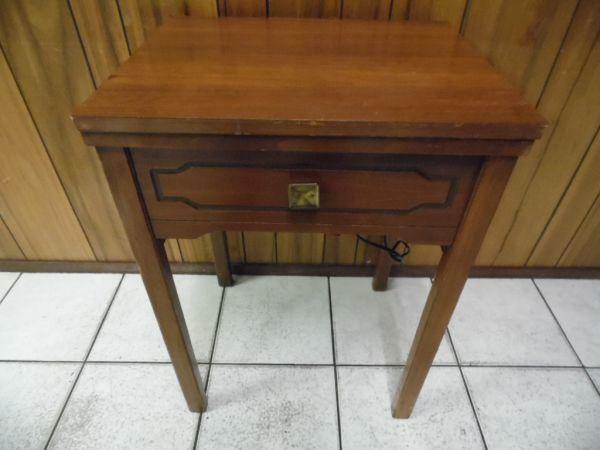 This item has been viewed 232 times. 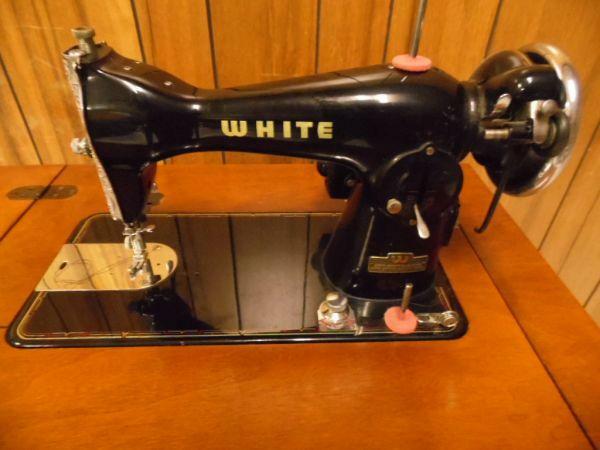 Working Vintage White early 50s Sewing Machine, serial number 619-960, made in Japan. 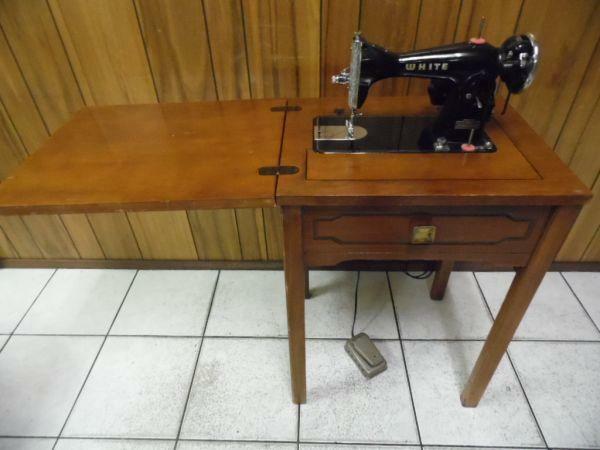 This nice sewing machine works, just needs the rubber belt that goes in between the motor and the sewing machine. It comes with the pedal and power cord. The cabinet is in very good condition.